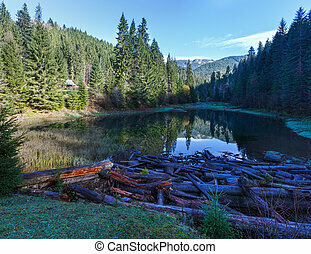 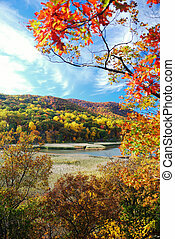 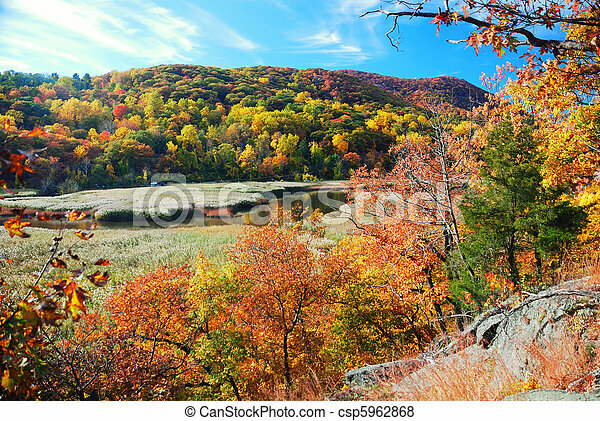 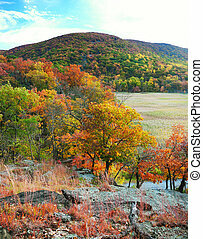 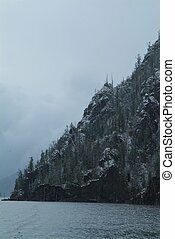 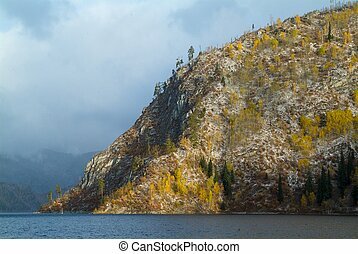 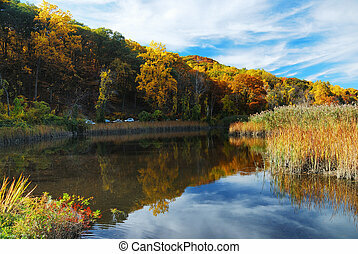 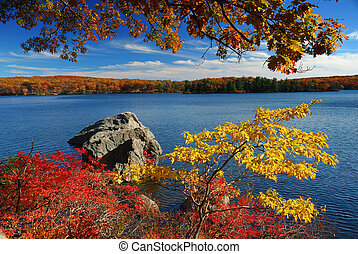 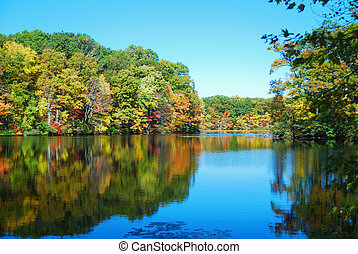 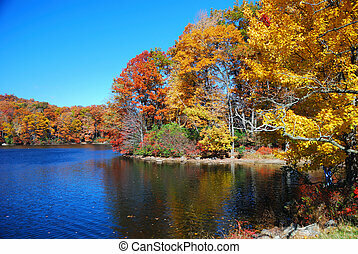 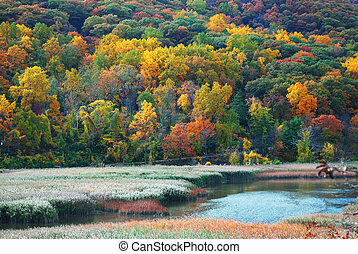 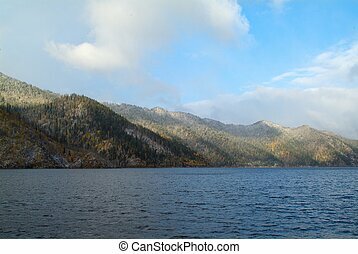 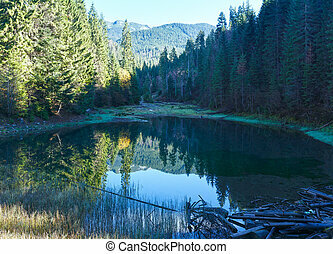 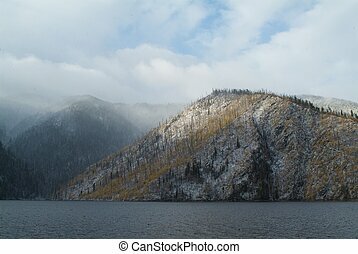 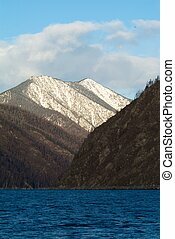 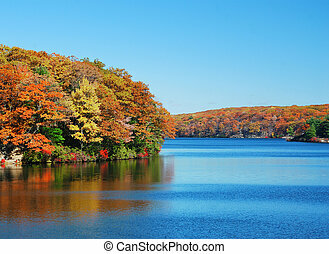 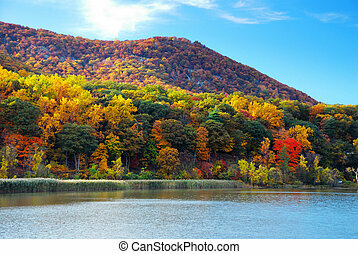 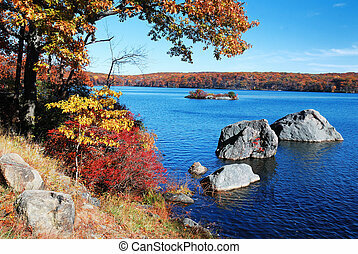 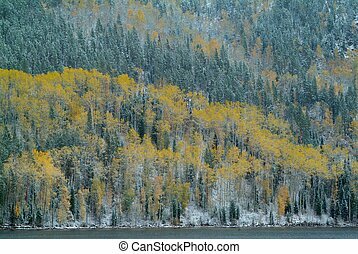 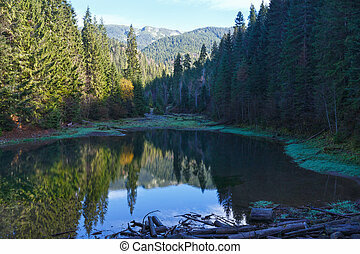 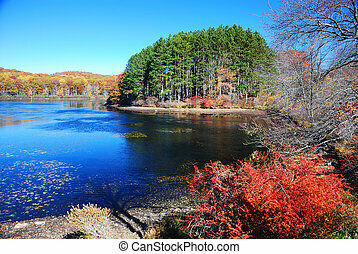 Autumn Mountain with lake view and colorful foliage in forest. 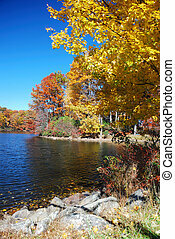 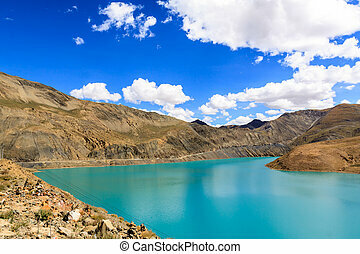 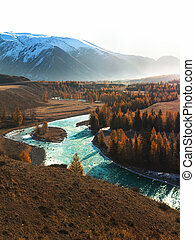 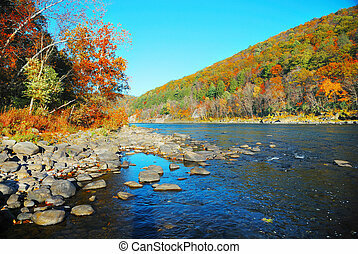 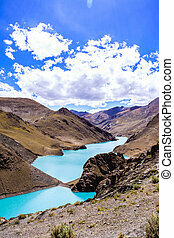 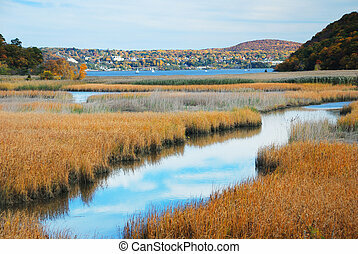 Turquoise water and white mountain tops contrast with the orange and yellow autumn landscape. 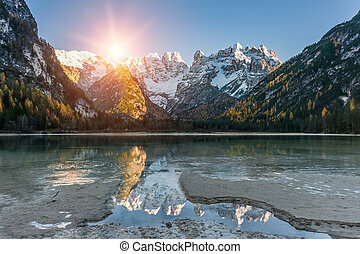 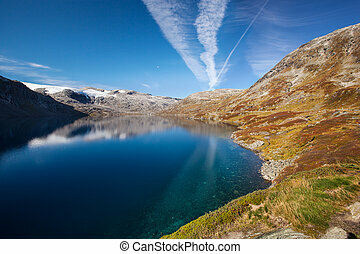 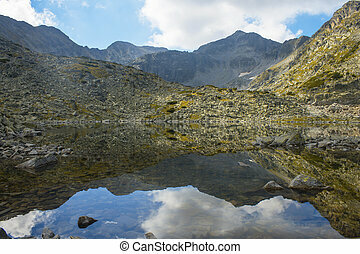 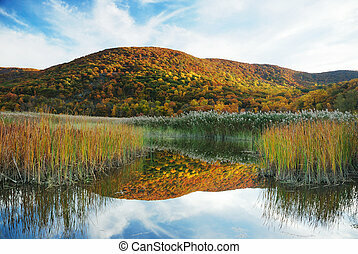 Autumn landscape with mountain lake and mirror images.